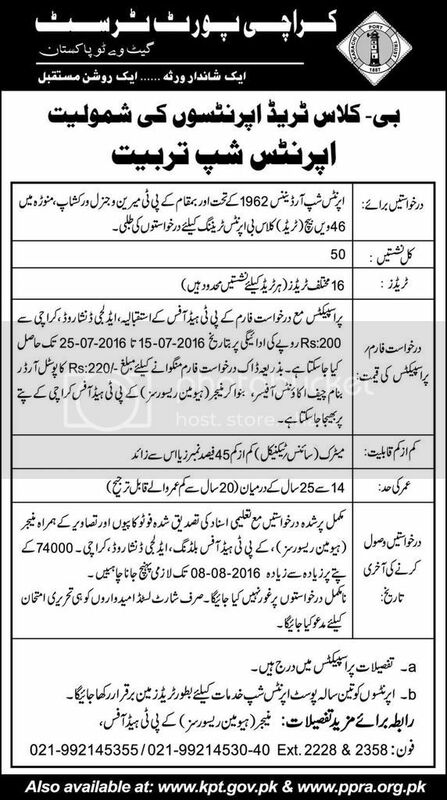 Internship Opportunities Karachi Port Trust July 2016. Copyright The Daily The Express Newspaper Pakistan. 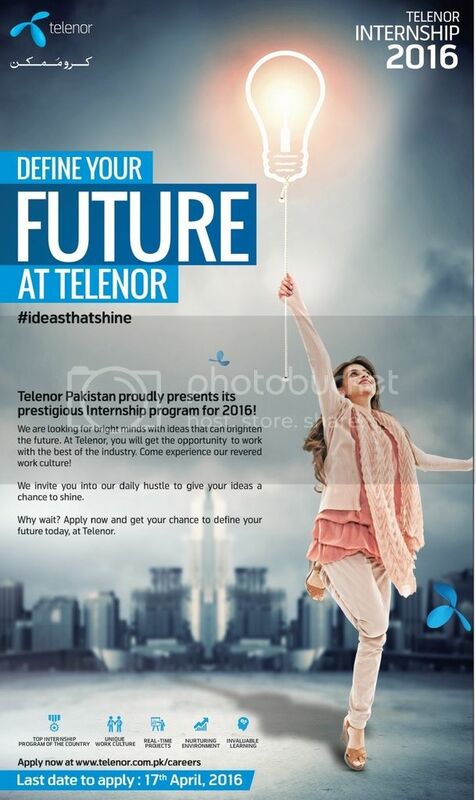 Telenor Internship Program 2016. Last Date to Apply 17th April 2016. Copyright The Daily The News Newspaper Pakistan. KP IT Board KPITB Internship Program Peshawar Abbottabad IT Parks. Get Registered Online Before 17th December 2015. Visit www.kpitb.gov.pk Copyright The Daily The Tribune Newspaper Pakistan. Internship Program at OGDCL Under Corporate Social Responsibility. Copyright The Daily The News Newspaper Pakistan. Finca Annual Internship Program 2015-16. Copyright The Daily The News Newspaper Pakistan. 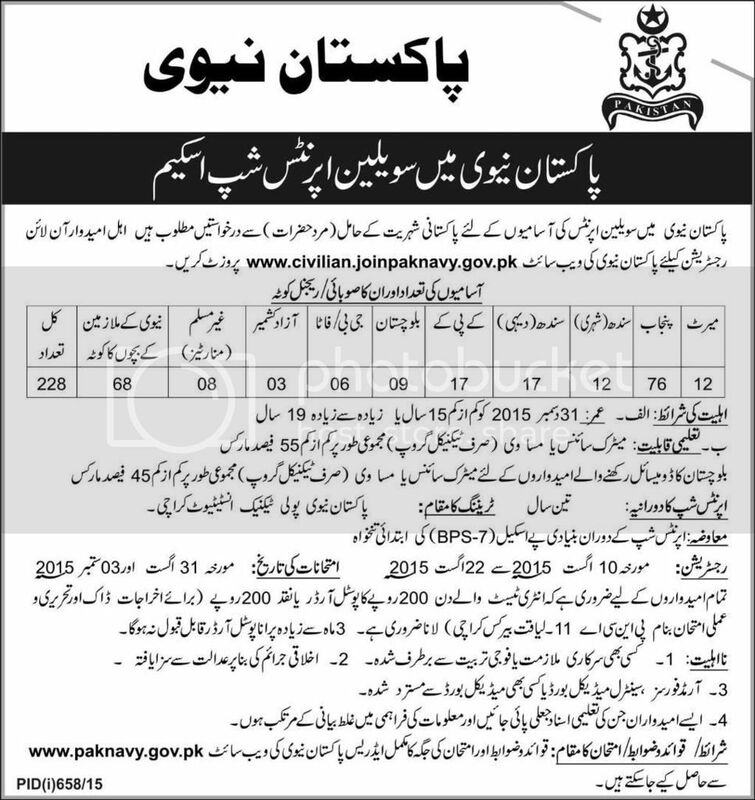 Civilian Internship Scheme In Pakistan Navy August 2015. Copyright The Daily The Express Newspaper Pakistan.